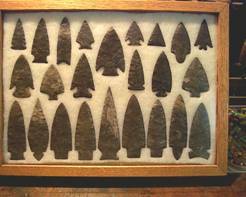 Ken Wallace and a fabulous collection of his reproduction points all made from Onondaga Chert. At left is Chip Wallace, Ken’s son, Ken, and Tim Shaw. 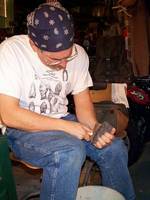 Tim is a second generation leather craftsman who has taken an interest in knapping. 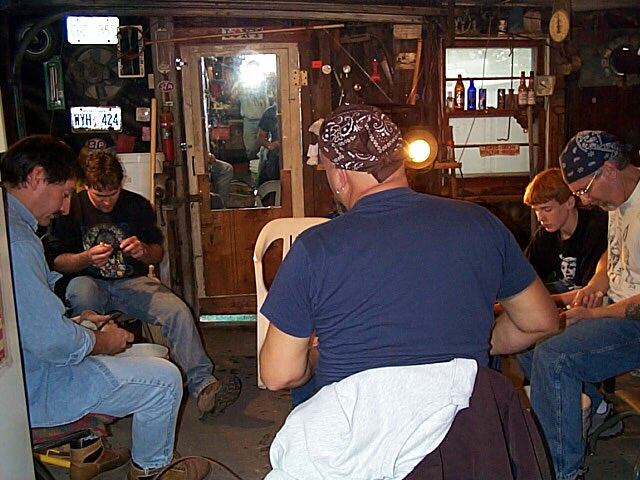 At right is another of Ken’s current students, John Brennan. 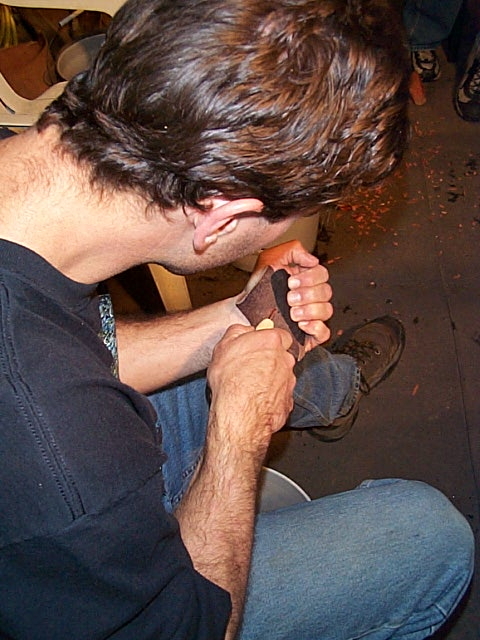 At left is Dan Long, who is setting up a fluting platform on an Onondaga Chert Clovis perform. Dan is one of Ken’s most accomplished students. 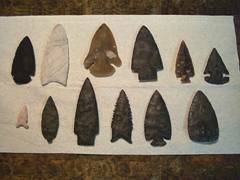 Some of the points produced during the day: First row- Snake Hill chert Plevna and Novaculite Clovis by John; Coastal Plains chert Thebes and Onondaga chert Genesee by Dan, Knife River Flint Scallorn and Onondaga chert E-Notch Bevel by Jim. 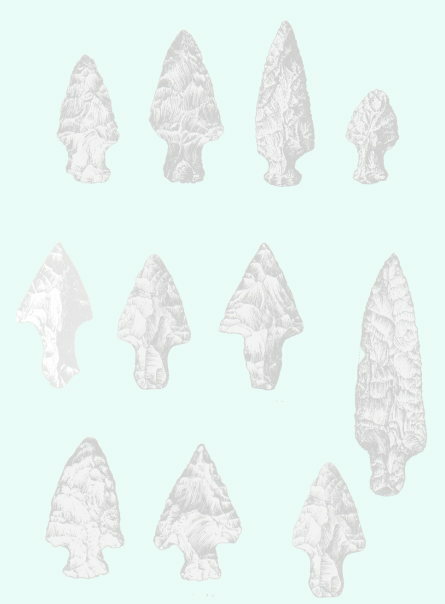 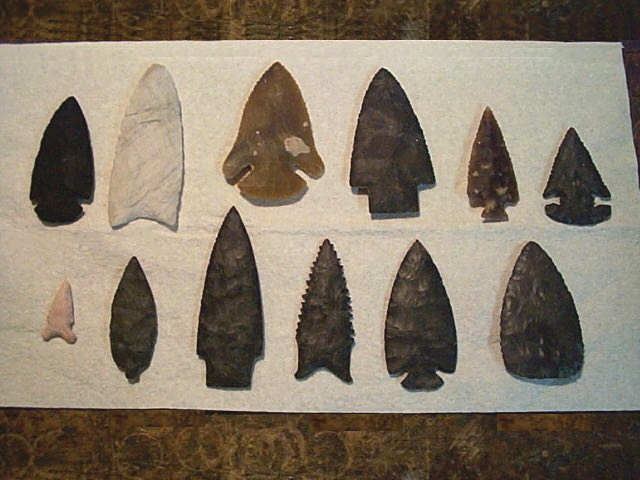 Second row– two points by Tim; Onondaga chert Genesee, Dalton, and Dovetail points by Ken; Onondaga chert North Blade by Jim.